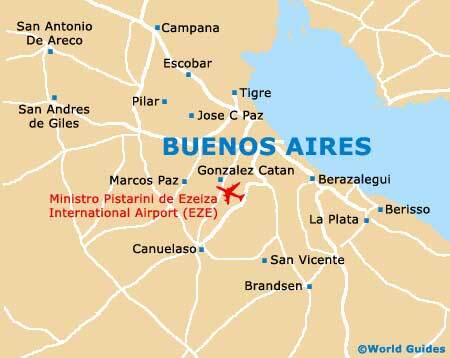 The art scene in Buenos Aires is certainly well developed and the city is home to a number of impressive galleries and similar museum spaces. One particularly highlight is the National Museum of Fine Arts, a much-visited gallery space where Argentinean artists have their works displayed alongside some of the world's most famous artists. 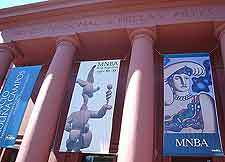 The National Museum for Decorative Art is known locally in Buenos Aires as the Museo Nacional de Arte Decorativo and dates back to the late 1930s, when it was first established. Located within the magnificent mansion where the affluent Errázuriz Alvear family once lived, this gallery is based within the underground coach house and quarters of the servants, and comprises literally thousands of art works, from Buenos Aires and throughout both Argentina and South America, as well as Asia and Europe. 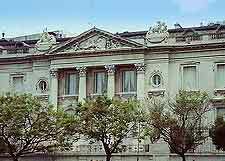 Set in the building that originally served at the city's main water pumping facility, the National Museum of Fine Arts is known locally as the Museo Nacional de Bellas Artes, and is home to the largest collection of Argentine paintings and sculptures in the whole of Argentina. Paintings on display are mainly from the 19th and 20th centuries. Besides works by domestic artists, there are pieces by Van Gogh, Monet, Renoir, Rodin and Toulouse-Lautrec, amongst other acclaimed artists. The grand building that houses this museum was designed by René Sergent, the French architect responsible for some of the city's most eye-catching mansions. Visitors to the Museo Nacional de Arte Decorativo are as enthralled by the architectural beauty of the building as they are by the artistic content contained within. 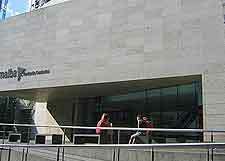 The museum's collection includes paintings, sculptures, ceramics and furnishings. Other parts of the house are open to the public and furnished with antiques, ceramics, paintings, sculptures and more. A gift shop and restaurant in also on hand should you require refreshments, while the formal gardens are also worth a look. 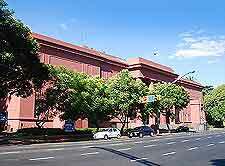 The Museo de Arte Espanol is a celebration of both traditional and modern Spanish art and has a long history, once being home to famed Argentinean writer, Enrique Rodriguez Larreta (1875 to 1961). Upon his death, the building was purchased by the city of Buenos Aires and transformed into the gallery of today. Not only are the paintings and other art-related exhibits especially appealing, the Baroque exterior is also rather impressive. Established as recently as the turn of the millennium, the Museum of Latin American Contemporary Art has grown rapidly over the past years and showcases various different aspects of Spanish American art. Themed exhibitions group similar paintings alongside each other, while the regular workshops and various family-orientated events are also often of interest, as are the changing exhibitions. An onsite car park is available if you plan to drive here.